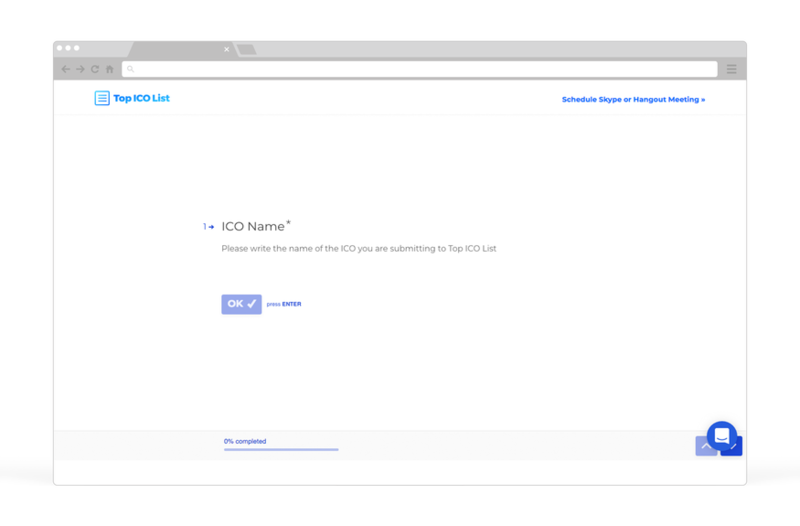 Fill in only one form about your ICO. Don’t waste time filling out the same repetitive form! most popular ICO listing websites. 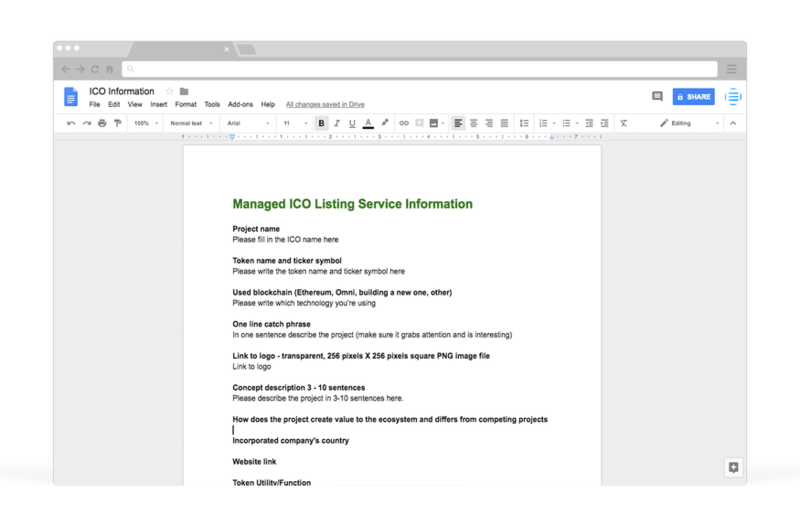 Get interested investors to your website from quality ICO listing sites. 1. What’s the difference between doing it ourselves vs. using this service? If someone on your team has a good 30 hours to do research on the listing sites to gather a list of the 100+ most popular sites and ranking them by traffic. And has the time submit your information onto these sites for 20+ hours. And has the time to ask and negotiate prices for premium listings. And has the ability to come up with a strategy on which sites should be paid for, which ones shouldn’t and where to upgrade your listing to get maximum ROI% for your ICO.
. . . Then there’s not a major difference between the DIY and us, because that’s what we’re proposing to do for you. Plus share insider tips that boost performance and conversions (feel free to contact us for these tips). 2. How long does it take to get listed? 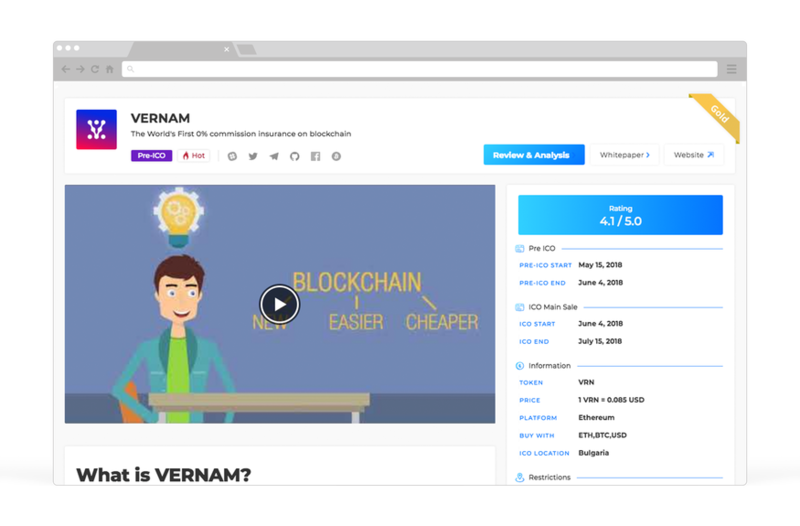 We submit your information to 100+ ICO listing websites within 48 hours. Most of these will be published live within a week. But there are a few websites which are slower. 3. What criteria have you used to gather the 100+ sites? Our list includes the 100+ most popular listing sites based on traffic. While there are differences and nuances, it’s usually the most important metric when comparing listing sites. 4. Does the service fee include listing prices? You will need to pay for the listing fees and upgrades for certain sites. We will help you navigate which ones make sense to pay for and why, and which ones don’t. 5. I still have questions? Feel free to contact us on our telegram.